Eiao Island (39.2 km2, 577 m elevation), situated at the northern extent of the Marquesas Archipelago, features rocky and steep coastlines with few sheltered embayments that allow easy access to the sea and marine resources. We report the first evidence of prehistoric fishing practices from Eiao Island based on three inland sites (possibly dating from the 14th to 17th centuries), and explore variation in fish exploitation (NISP = 1021; MNI = 157). All previous archaeological fishing records from the archipelago are from coastal sites, with inland Eiao Island assemblages offering comparative data on site location and taxonomic composition. The Eiao Island fish bone assemblages are dominated by piscivorous taxa, specifically grouper (Serranidae). Few tuna, mackerel and bonito (Scombridae) remains were recovered from the Eiao Island assemblages, compared to reports from Ua Pou, Tahuata and Ua Huka. New family-level taxonomic records added for the archipelago include: bonefish (Albulidae), requiem sharks (Carcharhinidae), butterflyfish (Chaetodontidae), flagtail (Kuhliidae), damselfish (Pomacentridae) and rabbitfish (Siganidae). These results further contribute to our understanding of prehistoric Marquesan fishing practices and allow elucidation of subsistence in coastal vs. inland settings, variability in taxonomic composition between islands of the archipelago, and importantly inform on human-environment interactions in East Polynesia. Lambrides, A., Weisler, M. and Charleux, M. (2018) “New taxonomic records and regional trends for the Marquesan prehistoric marine fishery, Eiao Island, Polynesia”, Journal of Pacific Archaeology, 9(1), pp. 44-62. 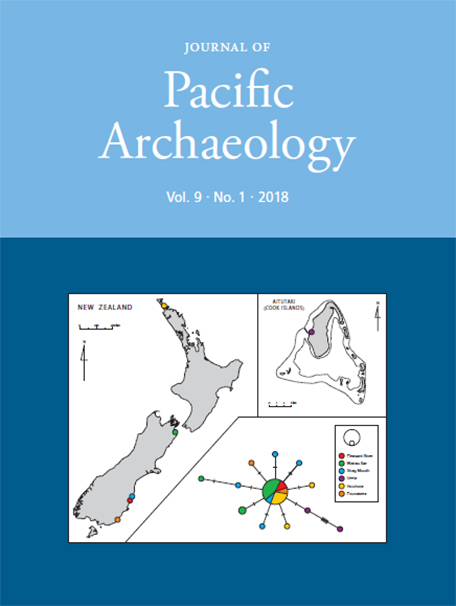 Available at: https://www.pacificarchaeology.org/index.php/journal/article/view/228 (Accessed: 22April2019).